Nearly all refrigerators are designed for single-family households. Ask someone who has lived in a group house or shared living situation and you’ll get a story of woe about a time that someone was looking forward to enjoying a lunch of leftovers only to go to the fridge and find their meal usurped by a roommate. (Curiously, the speaker is always the victim in these stories, never the perpetrator). To the rescue comes the Electrolux Flatshare Fridge—the refrigerator designed for shared living situations. 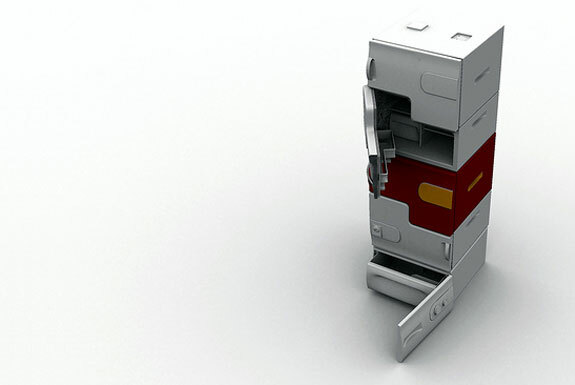 Flatshare Fridge—or, more accurately, the Flatshare Fridges—is comprised of self-contained modules that operate like a mini-fridge when placed atop the base module. Each module has it’s own temperature control. Need more refrigerator space? Is another housemate moving in? Simply add another module to the stack. What’s especially cool is that the module exteriors are highly personalizeable. Add a skin to give your module a distinctive pattern. Attach an optional extra like a bottle opener. (See a photographic example, below). Or get a chalkboard for your module onto which you can write your name . . . or a shopping list . . . or a warning to would-be food thieves. 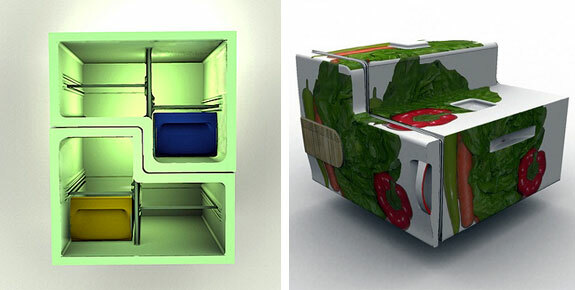 The Flatshare was conceived and built by Stefan Buchberger, a student at the University of Applied Arts in Vienna, for the 2008 Electrolux Design Lab competition (which is subsequently won). No word on when (or if) Electrolux plans to market this refrigerator or whether the final version will have some sort of lock-and-key system. Roommates everywhere are hoping it will be soon. Builtby: One Lamp. 1,607,045 Options. I love this product. I’m buying one for my vacant 2 bedroom flat in Hyde Park. 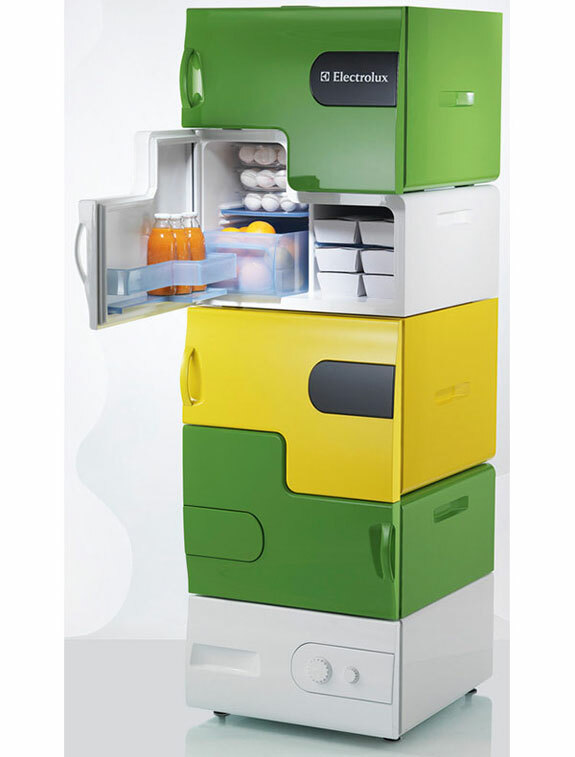 gostaria de compra uma flatshare fridge, porfavor onde posso encontrar?